His great-grand uncle Angelo Domenico Tremamondo was a celebrity swordsman with Royal patronage in 18th century England. In 19th century Australia, he (the ‘August’ Colonel) left a reputation in the colonies as a gentlemanly and conscientious official, but too much given to formality and fuss (1). And this is his story. Edward Fox Angelo was born at Karnal in Bengal on December 14, 1836, the son of John Philip Thomas Angelo and Louisa Neate. It is likely – but not certain – that he completed his education in England. The lad may have been earmarked for a military career: he was commissioned as an Ensign in the 28th Regiment of Foot on his 18th birthday in late 1854. 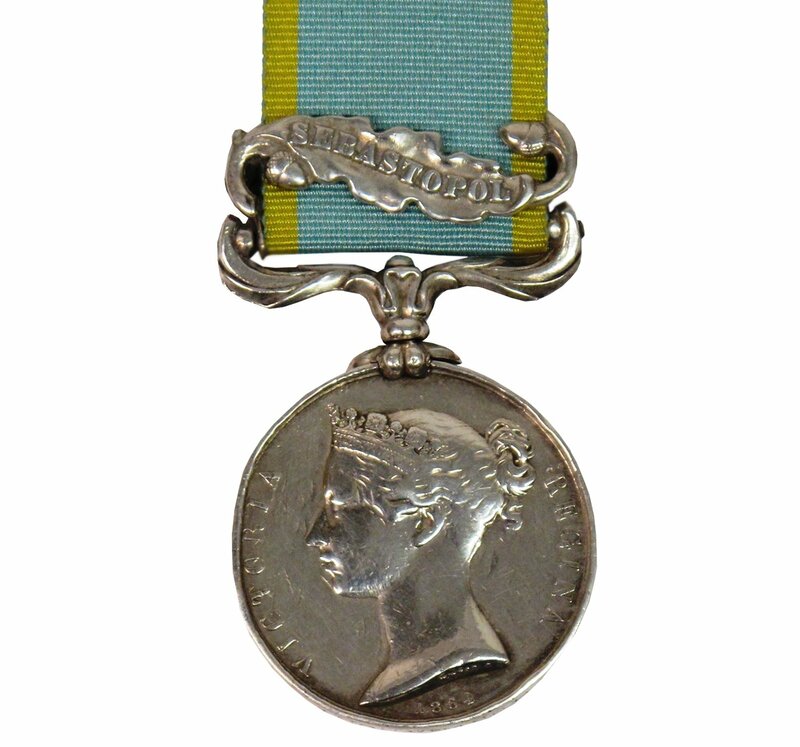 The regiment was on active service in the Crimean War, in the Third Division commanded by Sir Richard England. Edward Angelo received a promotion to Lieutenant on April 13, 1855 and arrived in the Crimea in August of that year. 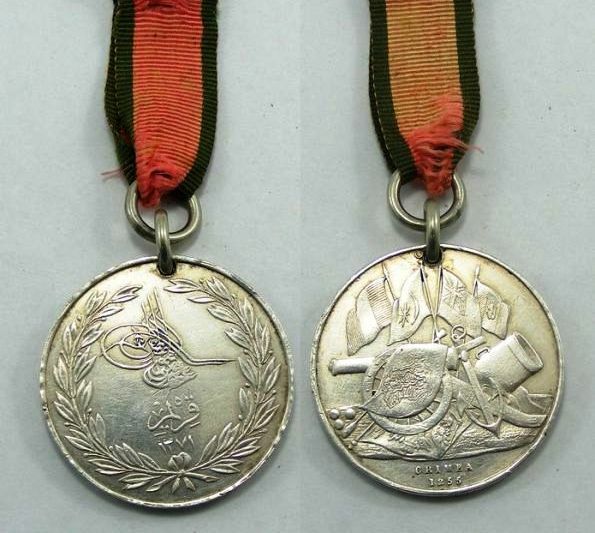 He took part in the siege of Sevastopol and was noted in the regiment’s medal roll as being present on September 8. 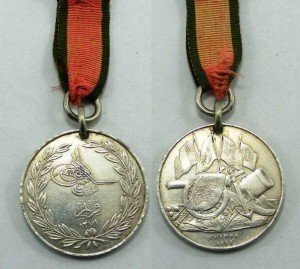 He received the Crimean War Medal with a clasp for Sevastopol on October 22, 1855 and later the Turkish Crimea Medal (2). As far as can be judged, that conflict seems to have been the only one in which Edward Angelo stood the test of combat. Edward Angelo’s list of promotions included one to Captain by exchange into the prestigious 1st (Royal Scots) Regiment on February 9, 1864. The regiment was serving in India at the time and Edward spent many years there. Edward was highly intelligent and seems to have had a flair for military administration and personnel management. 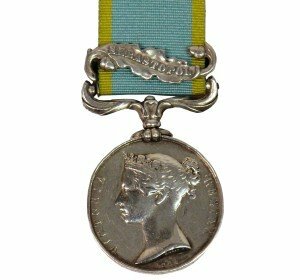 As a result he held a string of staff posts at various Indian localities, including Deputy Assistant Quartermaster General in the Sangor District, 1871 and Deputy Assistant Adjutant General of the Oude Division (in Central India), 1876. Edward Angelo was promoted to Major on October 1, 1877. He retired from the Army on a pension on March 2, 1878 (3). We have no definite proof of his movements, but Edward and his family may well have returned to England. 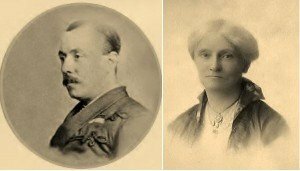 In India he had married Mary Colquhoun Fraser, the daughter of a judge, in the late 1860s. The couple had eleven children, all of whom were born in India or the Australian colonies (3). Whatever his circumstances were after retirement Edward was soon ‘back in harness’ on the far side of the world. In 1880 he received an appointment to the position of Commandant of the colonial defence forces of Tasmania. Angelo seems to have been disconcerted by the outdated equipment used by many of the volunteers. He also noted that financial issues had delayed the purchase of guns for forts and the field artillery. His stay in the colony was brief, but he impressed both the local and London authorities with an 1881 report on defence issues published under his own name. On June 3, 1882 Edward was appointed Commandant of the Western Australian Defence Force. He is listed as a Lieutenant Colonel and, as seems to have been the case with other WA Commandants, the rank was substantive – at least at the local level (4). The colony needed an improved defence establishment, both before and during his time in office. Incidents, and more than a few scares of international importance, had reached Western Australia’s shores: The escape of the Fenians on the American ship Catalpa in 1876; the Lacepede Islands dispute of the same year; the threat (which eventually evaporated) by Fenian activists from New York in 1881 (5). Together with these incidents, tension between Britain and Russia over Afghanistan in 1885 caused a flurry of mobilisation in all Australian colonies and at this point he had been Commandant of the WA Defence Force for nearly three years. Colonel Angelo was not impressed by the WA response. He reported that the locals had limited their activity to simply holding an extra annual encampment. In addition, the muster fell short by a factor of about 15%. Fortunately his military role meant that he also operated as an Aide-de-Camp to Governor Broome; he was thus able to prevail upon His Excellency to make suitable speeches and appeals for action by the citizenry (6). An interesting aspect of the situation was that Edward had been appointed Inspector and Field Officer of the Perth Volunteers (probably both riflemen and artillery) in 1884, so his disappointment a year later was understandable. Of course it is also possible he devoted insufficient time and energy into organising the men. As of February 1886 the whole business became irrelevant. Colonel Angelo’s military career ended when he was appointed Government Resident at Roebourne; the most difficult years of his life and career were about to begin. Angelo moved north to take up the position of Government Resident at Roebourne in February 1886. The Residents (often called Resident Magistrates) were officials appointed to look after the civil affairs and development of various towns and communities around the colony. Angelo had been a Justice of the Peace since 1883, so he also presided over the township’s local court. Roebourne and the nearby pearling industry port of Cossack were key centres in the north-west. Resident Angelo seems to have arrived with a mandate to finalise important infrastructure. During 1886 a solid stone gaol was built and opened, along with a new court house. A vital and cost saving horse-drawn tramway connecting Roebourne to Cossack reached completion in 1887 at a time when pearl fishing was booming, with many ‘Malays’, Chinese and Japanese starting to get involved. The term ‘Malays’ was a vague one referring to men from the Dutch East Indies (now Indonesia), not the Malay Peninsula itself (7). Because of Edward’s position, the Angelo family were expected to be at the centre of social life in the district and to keep a ‘good table’ for civic functions. Those activities cost money whilst he and his wife Mary were still in the process of raising and educating their family of, the now, ten children. Angelo the man was in many ways a cultural asset to the WA community. He happened to be a talented artist and pianist and later developed a keen interest in photography when working on Rottnest Island during the 1890s. Edward was also deeply religious. He switched from the Church of England to become an elder and preacher of the Presbyterian Church, and later took up the cause of Anglo-Israelism, a movement which was in vogue during the late 1800s. Angelo went on to write a scholarly book about the subject and had it published in 1896 – almost certainly at his own expense (8). In some ways Angelo’s time in Roebourne turned out to be controversial and difficult. For years local authorities had been worried about the use of aborigines as forced labour (with doubtful indentures) in the pearling industry. The local police cracked down in one notorious incident of 1880 when they boarded a vessel, removed the aborigines and released them. Police Superintendent Matthew Smith back in Perth advised the colonial authorities to regulate the industry properly, but it took years to bring that about. In 1887 an Aborigines Protection Board was established to supervise and monitor contract and employment work for indigenous people. Resident Angelo also expressed his concerns about the poor treatment of aborigines by some settlers. Governor Broome realised Angelo was alienating some people and described his work for ‘natives’ as “meritorious but injudicious” (9). As time went on Resident Angelo’s time in office became more complex as the weight and extent of various law enforcement problems increased. He did his best with police assistance, but it was often hard to bring indigenous people to justice for tribal killings and other offences because of difficulties in obtaining witnesses – and the simple fact that suspects could simply move inland. Another problem of the northern coast was chronic feuding between aborigines and ‘Malays’ over fishing rights. On a more personal note, Edward Angelo got into financial difficulties in Roebourne and had to file for bankruptcy; matters were settled in early 1889 by payment to his creditors ten shillings in the pound (10). Angelo may have been relieved when he left Roebourne in early 1889 to take up the appointment of Government Resident in Bunbury. This appointment was a brief one, for in 1890 he was appointed Superintendent of Rottnest Island. For many years the Island had been used as a prison for aboriginal offenders. 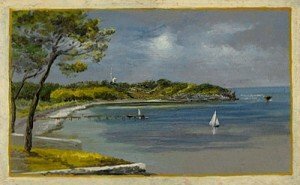 That function was now in decline: numbers of inmates had fallen to a few dozen and colonists were complaining about the expense of the establishment; acting through The West Australian newspaper some folk agitated for the island to be converted into a summer holiday resort in February 1891. In fact Angelo may have been the first person to suggest to the Government that Rottnest be ‘commercialised’. In 1894 Edward wrote to Premier John Forrest supporting the opening of a retail store on the Island by his second son, Alexander Angelo. Forrest rejected the idea; the proposal being considered a potential for conflict of interests. 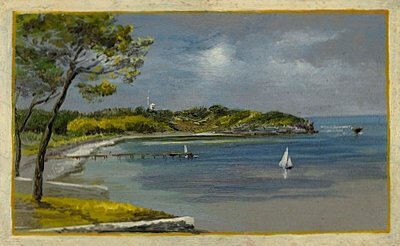 Thomson Bay, Rottnest Island painted by Edward Fox Angelo. Wordsworth Collection, National Gallery of Australia. Angelo’s time on Rottnest was not unpleasant. He entertained various distinguished guests, hunted and fished and engaged in artistic pursuits. An example of the latter is the fine Angelo painting shown. He founded a Rottnest Literary Institute and wrote and published on various topics. The Superintendent also improved facilities on Rottnest, including construction of a good sewerage system and a new lighthouse. 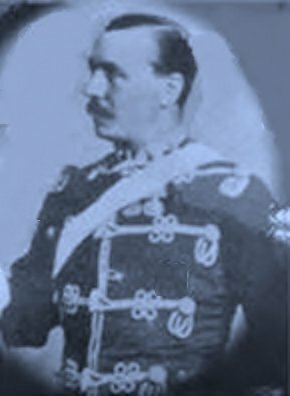 Edward Fox Angelo was replaced as Superintendent in September 1898. He then retired from public life and lived a rather secluded existence. In general terms, as a soldier and administrator, he deserves to be acknowledged for his positive services on behalf of Queen, Empire and Colony. He died on November 15, 1902 at his residence in Peppermint Grove and was buried in the Presbyterian section of Karrakatta Cemetery. (1) Australian Dictionary of Biography, Vol.7, (about Edward Houghton Angelo), G.C Bolton, Melbourne University Press, 1979. (2) The details of Edward’s military career given in the West Australian of November 17, 1902 are accurate. They are confirmed by London Gazette entries from December 1854 to March 1878. (3) Erickson, R. (Compiler) Dictionary of Western Australians 1829-1914 (UWA Press, 1984), Vol.4, Part 1, A-K, p29. (4) Grant, J.R. Officers of the Western Australian Defence Force, 1861-1901 (John Burridge Military Antiques, 1988), p4. (5) Conole, P. Pirates of the Stormy Coast, Retired Police Officers Association of Western Australia Newsletter, Vol.4 (August-September, 2013), pp4-6; Nicholls, op.cit, pp91-93. (6) Nicholls, Bob, The Colonial Volunteers (Allen and Unwin Australia Pty Ltd), p90. (7) The Wikipedia entries for Roebourne and Cossack have solid data about infrastructure work in those settlements. (8) Obituary in the Western Mail, November 22, 1902; Angelo, Edward Fox, Ephraim, or, the present location of the Hebrew Tribes (E.Stock, London, 1896). (9) Conole, P. Protect and Serve: a History of Policing in Western Australia (Western Australia Police, 2002), pp67, 86-87, 120; The Daily News, December 24, 1886; Olive, N. Enough is Enough: a history of the Pilbara Mob (Fremantle Arts Centre Press, WA, 2007), p87. (10) For Edward’s bankruptcy woes, see Cons 3431, 1889/07, WA State Records Office. (11) For Edward’s time on Rottnest Island see Moran, K. Rottnest: Ghosts of Wadjemup (Horizon Syndicate Pty Ltd, Perth), Chapters 8 and 9, passim. A complete version of this article was first published in Between the Lines Vol. 20 No. 1 & Vol. 20 No. 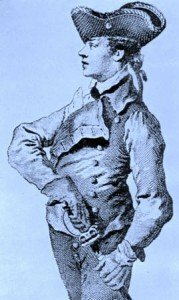 2 (September & December 2014), Family History Society of Rockingham & Districts Inc.
Angelo Domenico Tremamondo (1716-1802) became a European celebrity by virtue of his skill as a swordsman. He used local British connections well and moved to England, where he married Elizabeth Johnson and founded teaching academies for swordsmanship and horse riding. He attracted Royal patronage as a consequence and some relatives followed him to the British Isles. Colonel Edward Fox Angelo. Lieutenant in the Crimean War, Staff Officer in India, Commandant of the colonial defence forces in Tasmania and Western Australia, Resident at Roebourne and Bunbury, Superintendent of Rottnest Island.